Right, ladies, today's the day. 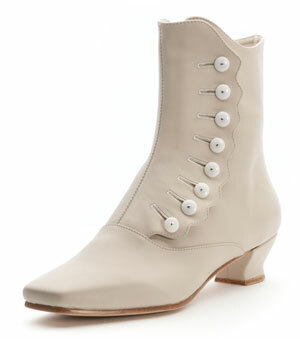 At long last, "Renoir" button boots and "Tissot" Victorian pumps are available to order at AmericanDuchess.com. The pre-order will run until April 27th. Delivery is around the beginning of July, if not a little sooner. Get your choice of a $10 cash discount, a free pair of stockings, or a free button hook, when you order Renoir. Also get your choice of a $10 cash discount, 10 pairs of shoe clip hardware for free, or a free pair of stockings, when you order Tissot. 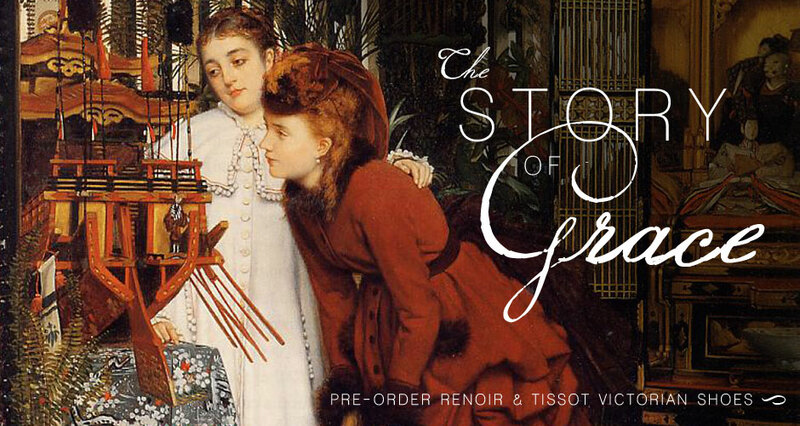 ...and if you order both Renoir & Tissot together, you get the above, and also an additional $10 off. *As always, we need to sell about 50 pairs of each style (or some combination thereof) to meet the manufacturing minimum, so please share with your friends who may be need shoes! I so want both of these but am currently paying for 2 houses so can't afford them at all even on layaway. I'm going to hope like mad they sell well and I can get a pair of each in July when I will be back to only paying for one house.